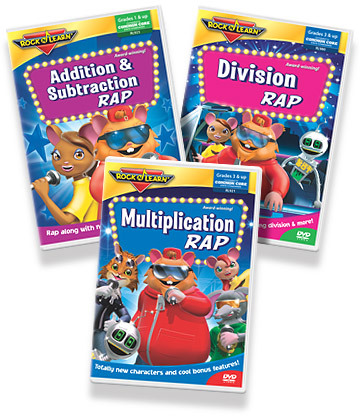 Having written before and trying out the Rock and Learn Videos using their tools for reading and sight words, The math and science DVD collection is an easy way to teach our kids science and math which can sometimes be difficult for them to pick up. The goal of Rock N Learn is to make learning fun and entertaining for kids. 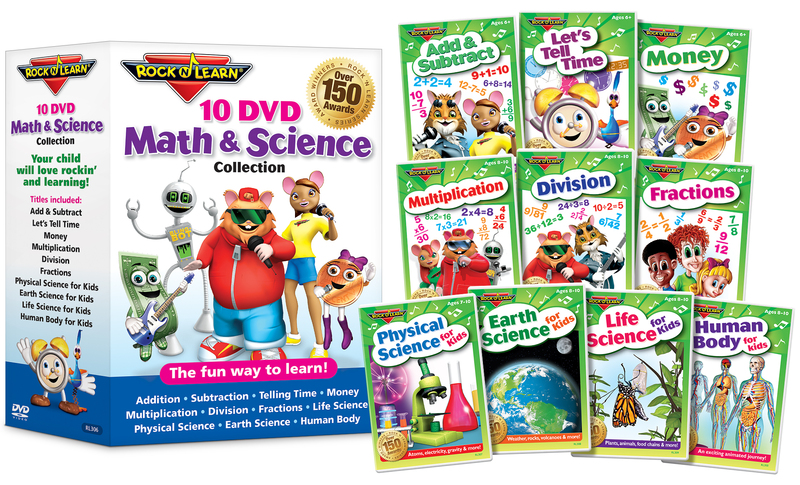 We have just released our NEW 10 DVD Math & Science Collection in time for the holidays! When you are raising kids in a society filled with technology like we all are in these times it is so important for them to understand the fundamentals of math. Even with computers and advanced calculators if they don’t know what formulas to apply it will do them no good. The Math DVD’s help this become part of their thinking process when they see math problems. Science is all around us and in the home environment we have a tendency to use experiments a lot and forget about the basics that need to be taught still. 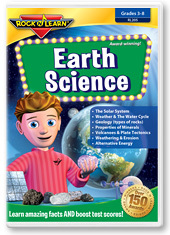 Kids need to understand all of the different types of science and what they mean and can do. I know from experience if the kids do not have the basics of science and math down they will struggle with the subjects most of their school career. I want to let you all know that these great Science and Math DVD’s are now on Groupon for a limited time during the holidays. These are a fantastic gift and they are so great for our kids to learn and have fun at the same time. Pick these up for your spring lessons now! It is abridged content from our premium products found at www.rocknlearn.com. It retails for $129.95 and available on Groupon for a limited time for only $39.99. These make great gifts for your kids and any other kids on your list!